Bragging an impressive performance pedigree and razor-sharp handling, the 2018 Porsche 718 Cayman is a sports car in the finest form. Once you slip behind the wheel and listen to it roar through Redwood City, you’ll understand why its specs place it at the top of its class. Offering two engine choices, high-powered handling technologies, and a wealth of sporty accessories, the Porsche 718 Cayman Coupe’s performance will keep you on the edge of your seat now, and years down the road. The Porsche 718 Cayman RWD is available in two trims: Cayman and Cayman S. The base Cayman gets a 2.0L turbocharged and horizontally opposed 4-cylinder engine, which generates 300 hp and 280 lb-ft of torque. Shooting for the Cayman S promises a larger, more powerful take on the base engine: a 2.5L 4-cylinder with 350 hp and 309 lb-ft of torque on tap. Although distinctly Porsche, the 718 Cayman and 718 Cayman S are unique, and Palo Alto drivers should have no trouble distinguishing the two. With its smaller engine, the Cayman achieves an EPA-estimated 21 mpg city/28 mpg highway rating. Of the two, the Cayman S is the speed-demon, reaching up to 177 mph and accelerating from 0-60 mph in just 4.4 seconds. SPORT Button: Changing engine dynamics is possible with the push of a button. Go from a comfort-oriented cruise to a sporty ride by modifying throttle steering and the optional sport exhaust system. 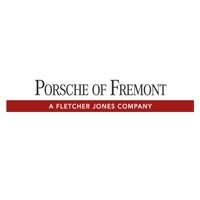 Porsche Stability Management (PSM): During acceleration on rugged roads, PSM works to boost traction and keep drivers in control of their vehicle. Optional Sport Chrono Package: Sport Chrono integrates Normal, SPORT, SPORT PLUS, and Individual settings for truly customized driving dynamics. Paired with the optional PDK transmission, it adds Launch Control, motorsports-inspired gear shifting, and SPORT Response. Optional Sport Exhaust System: The sport exhaust system includes push-button activation and sport tailpipes, which create a deep growl that announces the 718 Cayman Coupe’s presence long before it arrives. Find Your New Sports Car in Our 718 Cayman Lineup! The Porsche 718 Cayman Coupe’s performance has always been the stuff of legend; this year, it remains one our top picks for San Ramon and Walnut Creek car shoppers who feel most at home behind the wheel. Learn how the 718 Cayman compares to competitors like the BMW M2, then schedule a test drive by contacting our sales team at Porsche Fremont. We’re available seven days a week to answer your questions and help you apply for financing!